The Decorating Chica: You say junk, I say treasure! You say junk, I say treasure! Can you believe that school is back in session? The official end of summer and I always find myself wondering what happened to it? Here in Michigan, it took forever to warm up and now that it's September, it finally feels like summer! 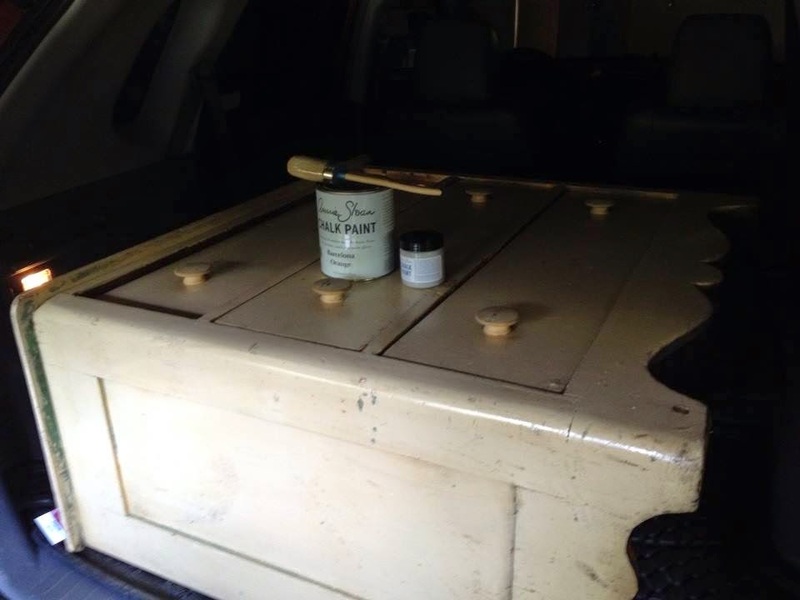 Chalk paint, Annie Sloan and Vintage Market. Have to say I like the Vintage Market best. We've had a super busy summer here and I have been working on a bunch of projects but with my new job I hardly have time to post. Sharing today of my junk dresser rehab. with leftover Metallic Bronze Orb spray paint. I shop all the consignment stores and retail stores. I can plan a morning of perfect garage sales, looking for that perfect something that is on my never ending list. But really, when it's all said and done, my best finds are the 'junk' that I happen upon or that garage sale that I stop at, spur of the moment. Every. time. Not a great picture but here it is in the back of my car. Sharing today my summer trash pick rehab. Hope you like it! Oh I love it, what a great piece and the makeover is perfect. Thanks tons for linking to Inspire Me.